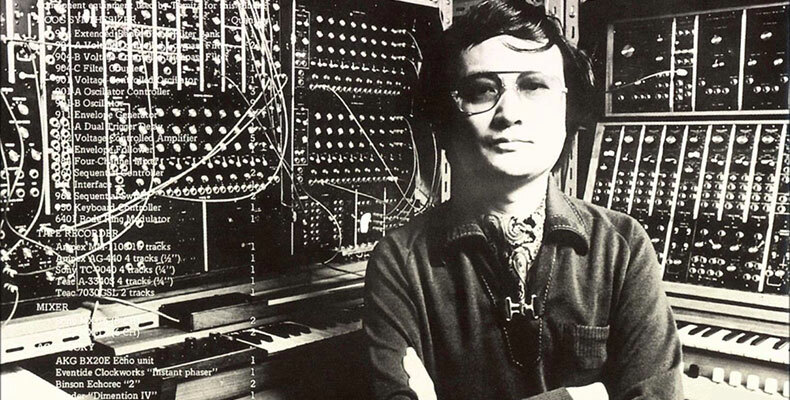 [Jakarta, LttW] Japanese pioneer of electronic music Isao Tomita has died of heart failure last Thursday (May 5th) at Tokyo Metropolitan Hiroo Hospital, at the age of 84. A private funeral on Saturday and Sunday was attended only by close family members. Tomita started his career as a composer/arranger for Nippon Columbia Co.,Ltd where he composed a myriad of works, including the theme music used by the Japanese gymnastics team in the 1956 Olympics and music for the animation Kimba the White Lion by Ozamu Tezuka (Manga artist known as the creator of Astro Boy). He was one of the people who is responsible for bringing analog synthesizer and electronic music to Japan in early 70’s, when he imported Moog modular synthesizer at a time when such an instrument was expensive and rarely used. Tomita was best known for a series of albums featuring synthesizer arrangments of classical works, such as Snowflakes Are Dancing album which was nominated for four Grammy Award in 1975, including Best Classical Album of the Year (The first Japanese national nominated for a Grammy). The album consist entirely of Claude Debussy’s beautiful tone paintings, here’s an example from the album. He had collaborated with numerous artist, one of them is a professional taiko drumming troupe Kodo on their 1994 album’s Nasca Fantasy. Listen to Kodo with Isao Tomita’s El Humahuaqueno below. Some of his pupils that noted as western pop music pioneers in Japan are Ryuichi Sakamoto and the techno-pop group Yellow Magic Orchestra. Please check out his interview and Hideki Matsuke of Yellow Magic Orchestra / Logic System by Yu Onoda here. Dr. Coppelius was scheduled to be performed in Shibuya’s Bunkamura, Tokyo, Japan on November 11th and 12th. Rest in peace, Mr. Tomita..
For further info about Isao Tomita, please check his lecture.